As we heard it many times, breakfast is the most important meal of the day so why not make it more healthy by having your best friends on board. Decide at whose place the cooking ceremony will take place and cook something good together. This is probably a great start of the day. So enjoy the morning laughs with some self made food. Roller coasters used to be the most adventurous thing when we were young but for grown ups these roller coasters have got newer versions where you can create memories of lifelong like parasailing, bungee jumping, river rafting or kayaking. These adventure sports give you and your pals new ideas and energy to refurbish their lives. The nights of getting drunk are always remembered. The karaoke nights are among the growing traditions of spending a good night with friends. 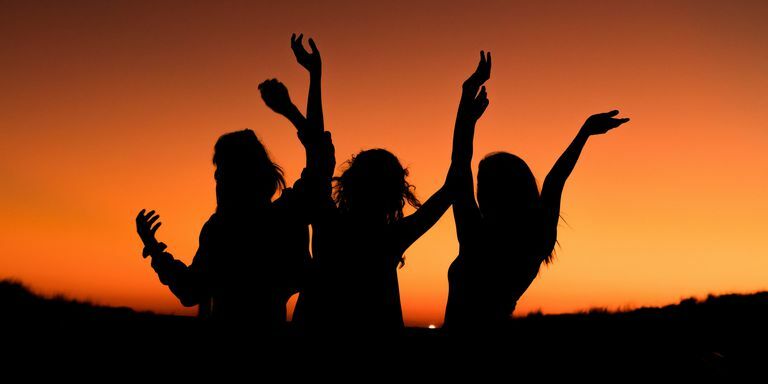 Standing in front of random people, singing your heart out and later laughing at each other when you get sober is a fun way to spend friendship day with friends. There are always some places in your bookmarks where you never get a chance to visit. It might be a cafe, a restaurant, a shisha lounge, a lake or a fort. So pick a place from your common bucket list and plan for the next adventure together. There are many things that brings us close together and shared interests are surely among them. There are chances that you and your friend like same kind of music, so what’s better than celebrating your friendship at a concert of one of yours favorite artist. How long have you been craving for that weekend with your BFF away from all your routine. Perhaps the Friendship weekend of August is the best time to arrange for a trip together. If you are a bunch of friends then hire a minibus, pack some snacks and ride the roads of your destination. Traveling is the best way to strengthen the bond of your friendship. So which option you are picking up for this friendship day. Whatever you choose from the list, it’s important to spend quality time with friends and remind them of how important they are in your life.